How to Choose the Best Mobile Broadband Service Provider? » How to Choose the Best Mobile Broadband Service Provider? Choosing the Best Mobile Broadband Provider? You could face a number of challenges while choosing the right mobile broadband service provider with so many options available today in the market. However, when it comes to using mobile broadband services, affordability and reliability are some of the key factors that you may have to keep in mind. With mobile broadband services offering the fastest way to access and share information, it becomes important to pay attention to find the right package that is both cost effective and offers the best quality of service. It makes good sense to find out various options that are available in the market today that offer high quality mobile broadband services. Gather information about different Internet service providers offering such services within your local region. Companies having a vast experience and expertise in this area may be able to provide some amazing deals on mobile broadband packages. You can even talk to customers to get views and suggestions regarding mobile broadband operators in your area. There are multiple types of mobile broadband plans available today and you need to be careful while selecting the best one that meets all your needs. Else, you would be wasting money on purchasing something that would not serve the purpose of your communication. If you are a frequent traveler, then it may be a good idea to choose a plan that offers more network coverage. There are contract plans, pre-paid plans and short or long term services that are offered by various service providers. 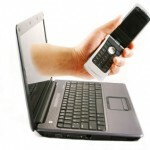 Now, the main purpose of using mobile broadband services is to access data or information at a higher speed. In case the data transfer and the connectivity is too slow, then it may interfere with your business communication and affect your regular tasks. Again, it depends on the kind of activity for which you may be using the broadband services, especially if you need to access large amounts of data at a time. Hence, it is better to discuss these issues with your mobile broadband provider before opting for these services. Last but not the least, the mobile service provider must be reliable and offer different methods of communicating with them, in case you need to get in touch with them. In addition, it may be useful to look for providers that offer help and online support in the form of FAQ, online documentation and operating manuals that may be useful for the customers. Besides, it is important to choose the best service provider who may be able to quickly respond to customer queries and provide effective solutions to your problems. Check out some of the Mobile Broadband Services offered by AT&T, Sprint, Verizon Wireless and T-Mobile that offer a wide range of features today.